It’s been several years since LiDAR training has been offered in Minnesota, especially in outstate locations. Given new users and recent advancements in LiDAR, both a “Basics” and “Advanced” course will be offered in conjunction with the University of Minnesota Regional Sustainable Development Partnership (Southeast and Southwest), along with the University of Minnesota’s U-Spatial. Please see below for a these upcoming educational training opportunities regarding LiDAR in Minnesota. Morris, MN March 18-19, 2019 - 9:00 a.m. - 4:30 p.m.
Northfield, MN March 25-26, 2019 - 9:00 a.m. - 4:30 p.m.
Winona, MN May 13-14, 2019 - 9:00 a.m. - 4:30 p.m.
Marshall, MN May 20-21, 2019 - 9:00 a.m. - 4:30 p.m. Contact Joel Nelson with any questions. "Basics of Using LiDAR Data" is a one-day, part-lecture, part-hands-on workshop for GIS specialists. They will learn what LiDAR data is, limitations and error management, data formats, and data acquisition and management for various applications. By the end of the session, participants will be able to download, view, and manipulate LiDAR data in its several provided forms. 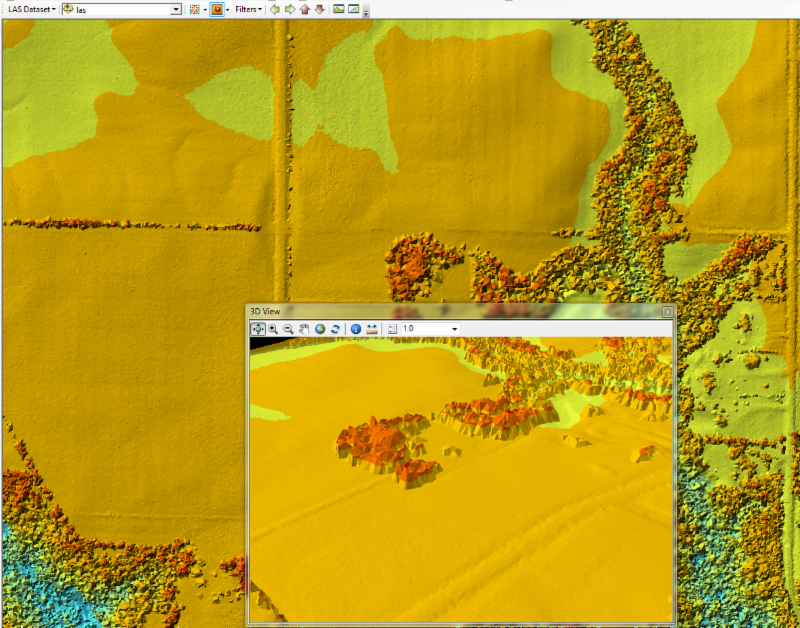 Several tips and tricks of working with LiDAR and raster data in-general will be shared. GIS specialists in local government units, government agencies, non-governmental organizations, and private companies. The course assumes you use ArcGIS and know how to import and manage files and layers, process geographic data, and understand what is raster data and how to process it. 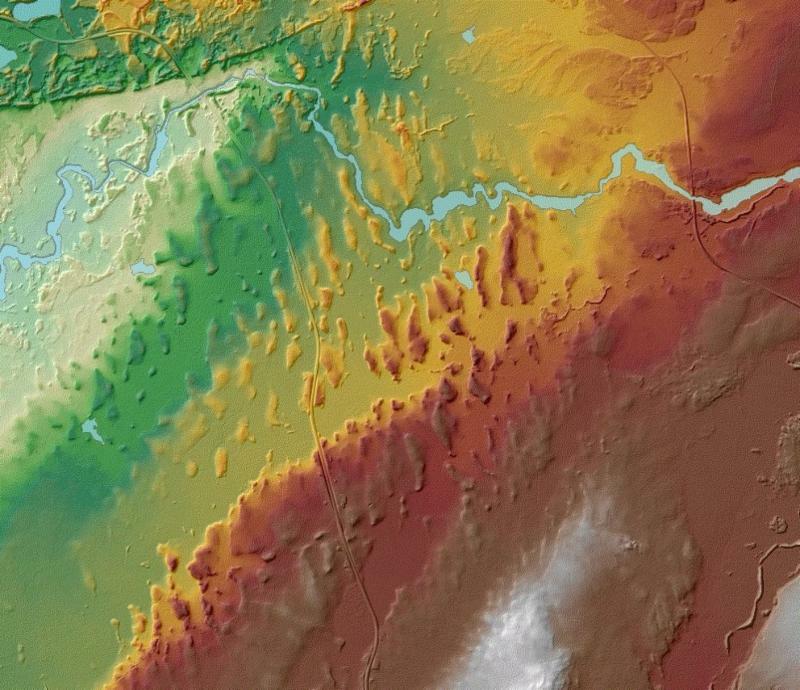 · What is LiDAR data and how is it collected? · Identifying and managing errors. · Where and how to get data. "Advanced LiDAR" is a one-day, part-lecture, part-hands-on workshop for GIS specialists. By the end of the session, participants will be able to extend skills learned from “Basics of LiDAR” into real-world applications utilizing the full suite of LiDAR data types.Attendees will be able to manipulate DEMs to derive a variety of products that serve terrain analysis and hydrologyapplications, with particular attention given to LAS file management, visualization, and analysis. Several tips and tricks of working with LiDAR raw files and common issues will be covered. Participants must have completed "Basics of Using LiDAR Data" before taking this workshop. They should have basic computer skills and at least medium-level GIS skills including proficiency in ESRI ArcGIS software. It is helpful (but not required) to have experience with ESRI Spatial Analyst or other raster analysis.